MFDC TELECOM GROUP - MFDC GROUP INC.
For over 20 years of company history, BCN Telecom has partnered with the industry's leading network providers. We have over 65 industry leading partnerships. Proudly servicing tens of thousands of business customers through an extensive worldwide agent network, BCN offers a broad product and service portfolio accessing over 65 unique network partners and combining them into a single source single billing telecommunications platform solution.The BCN Telecom management team gained its experience working in OEM labs, designing and building the hardware and software infrastructure that allows the world to communicate at the speed it does today. We come to the table with in-depth knowledge of the systems and—more importantly—direct connections to the people and processes that are the driving force behind them. When we need information, we call the people behind the scenes. 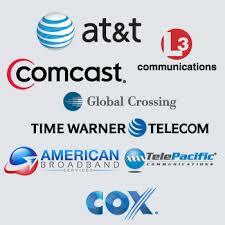 BCN Telecom is committed to providing timely feedback to all inquiries or requests. If you are interested in discussing any of our products or services, or have any other questions or comments, please use the information or form below. Let us save you time & money!